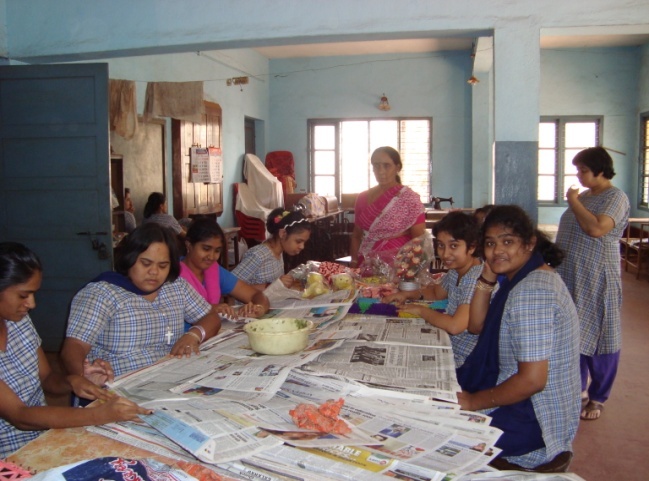 The physically and mentally challenged adults are taught vocational skills like book binding, Carpentry, chalk making, drawing, painting, stitching, flower making and other crafts while some earn, others spend their time usefully contributing their best in the production unit. 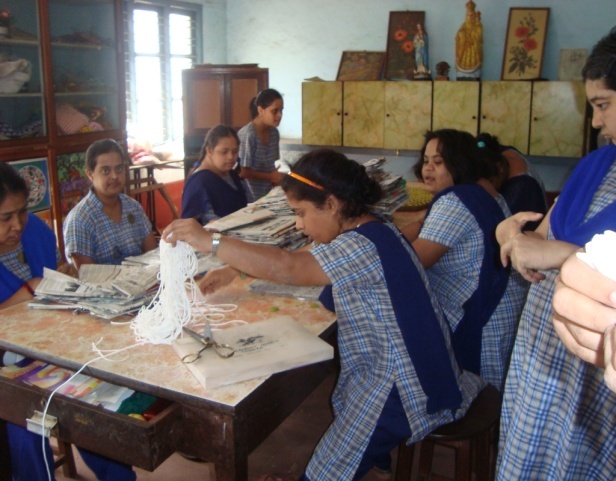 The Adult students who complete 18 years of age are provided job facilities in the workshop St. Agnes Vocational training centre. They are trained in book-binding, Carpentry and Home Science skills. They are helped to earn their livelihood. They are given stipend for the work done. 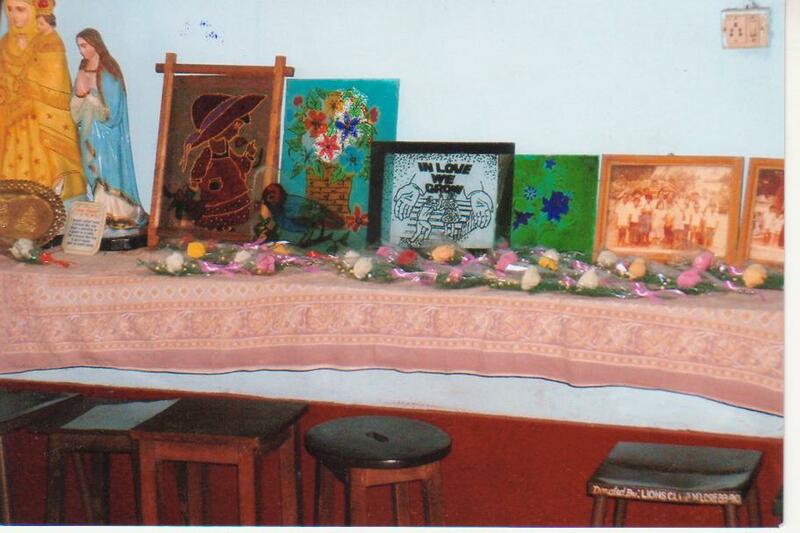 This eases the tension of the parents as these students are supportive and helpful to the family memebrs in some way. 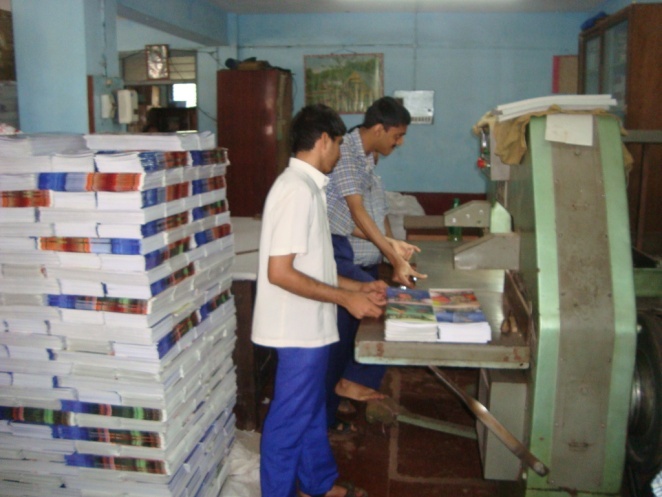 The books prepared at the Book- Binding Section are marketed to the schools in and around Mangaluru. The Carpentry products also are marketed in different places in Mangaluru. The montessori teaching aids prepared here are appreciated by all. They also prepare different mementos on order. In the Home Science Section the girls prepare fancy items such as soft toys, key chains, flowers, flower bouquets, table covers, phone covers, mobile covers, door mats etc. They also prepare, soap, phenol, chalks, candles etc. Through the “Earn While You Learn” programme, the differently abled trainees are earning and this in turn has improved their self concept and confidence. 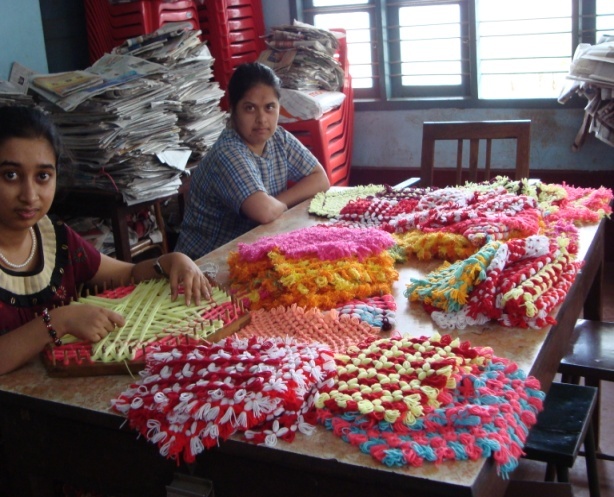 Some of the trainees in the pre- vocational and vocational programme have learnt the work skills. They are able to make chalk, envelopes and wood articles. 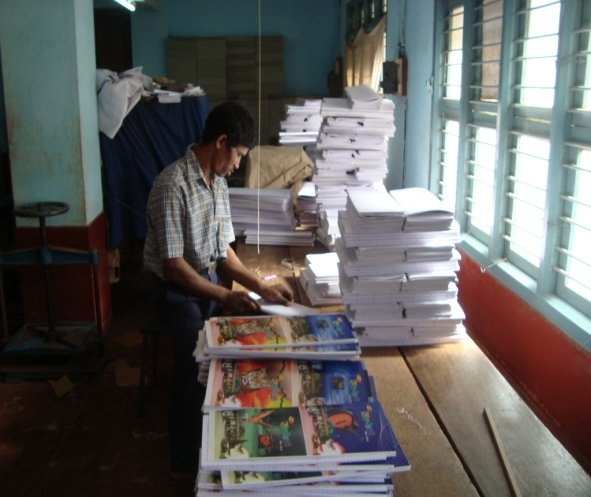 They are also taught to prepare books and to bind the books.